The Feline Invasion Continues! Play Final Fantasy XV as a Cat! This is just getting ridiculous. Cats are proving to be the most unreasonably large meme on the Internet, and it has even begun to affect real world properties as well. I've mentioned how Mario was overtaken by cats and jokingly threatened that Final Fantasy was next after a "Cat Master" job turned up in Bravely Second. Turns out I wasn't that far off. Square Enix will allow you to play as a cat in Final Fantasy XV. No, seriously. Watch the video from the Taipei Game Show. A new addition to the series called "CatCam" allows you to tour areas of the map that humans simply can't reach. It seems like the art directors really want to show off every last corner of their urban creations with this silly little idea. To activate "CamCam," you'll have to bring Noctis over to sit a bench near a stray feline, and the camera will simply take over from there. 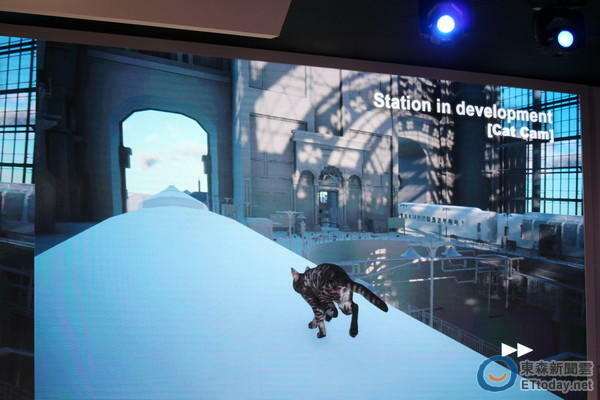 This is not the only animal players can control, though, as there is also a "DogCam" which can be activated in a similar fashion. Of course! Why not?! What is this? Final Fantasy or Tokyo Jungle? The settings do look the same a bit, don't they? Final Fantasy XV will be released for the PlayStation 4 and Xbox One. No release date has been confirmed yet.